Any good investment guide should help your money work harder and earn more. It must help your money to park in a “can’t lose” fund and earn the maximum return. Here, we will talk about some tips that may help you to identify and pick the right stocks with minimum risk but with maximum income potentials. Investing in the stock market does not essentially need a lot of money; you can do it with as much as you feel comfortable. If you can select a good company with a solid financial structure (good fundamentals, revealed by its financial statements) with good business prospects and invest there with a long term horizon, say for 5 years or more, it is nothing surprising, if your money gets double or triple or more than that within a couple of years. Equity is one form of investment where you have maximum income and return potentials if you can act cautiously without any excessive greed, like a cool professional. 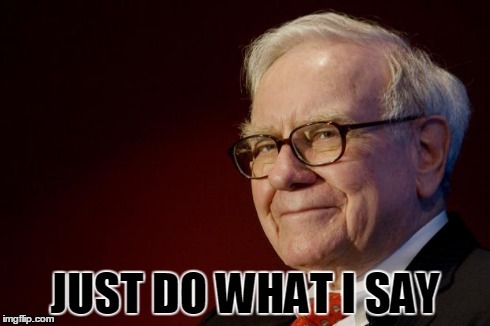 The experts like Warren Buffet recommends a company is safe and profitable to invest if it fulfills three main criteria: first, it should be at least ten years old; secondly, has a consistent record of earning profit and paying dividends, and lastly, its shares are trading at a price, 90% of its book value. However, to learn these, you should possess some basic knowledge and necessary skills to evaluate the soundness and growth prospect of a company in a particular sector with future growth potential within your time horizon. There are some useful financial data which we find from the financial statements of every listed company which help us to gauge the soundness and growth prospect of a company with the use of some common senses. The Balance Sheet reveals Total Assets (what the company owns) and Total Liabilities (what the company owes) and the financial statements reveal the incomes, expenses and profits of the company. These are the two main documents with which we can work out the adequacy of a company’s profitability, availability of funds to support any volatility, the amount and proportion of its debt and many other important queries. If these data and some computed ratios are compared with other similar companies engaged in the similar business activities, we can understand how the company is performing. In most cases, a company is judged by its performance for investment purpose, most common yardsticks that are used to measure its excellence in performance, are, (a) Profit Margin, (b) Book Value Per Share, (c) Earnings Per Share, & (d) Price/ Earnings Ratio. 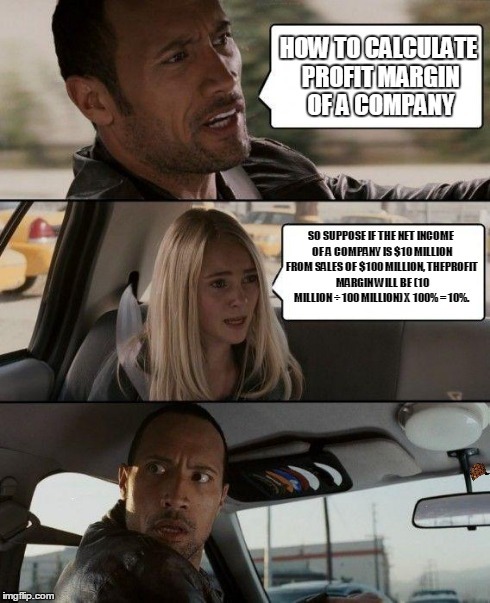 The Profit Margin will be (10 million ÷ 100 million) X 100% = 10%. 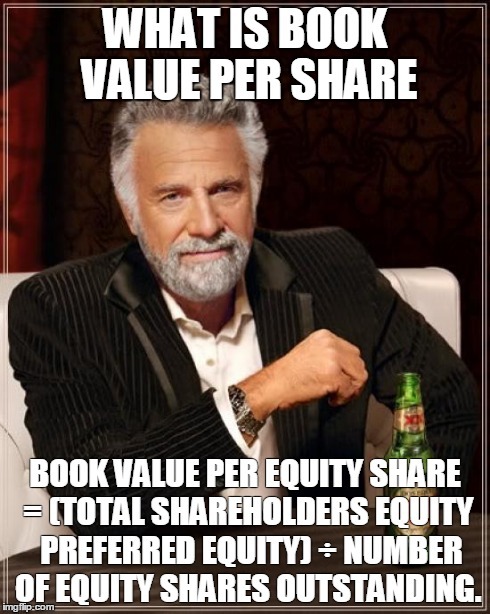 Book Value Per Equity Share = (Total Shareholders Equity Preferred Equity) ÷ Number of equity shares outstanding. It is one of the factors that helps to determine whether a stock is undervalued, but it is never a true measure for a stocks true worth. 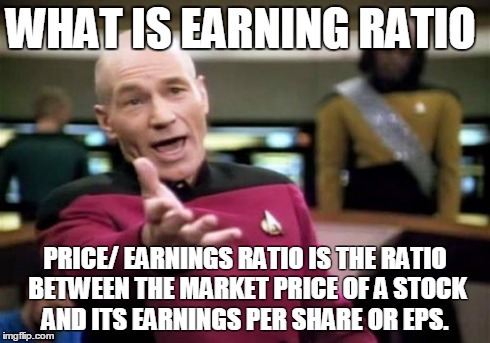 (d) Price/ Earnings Ratio is the ratio between the market price of a stock and its Earnings per Share or EPS. It is the multiples of earnings per share to its market price. 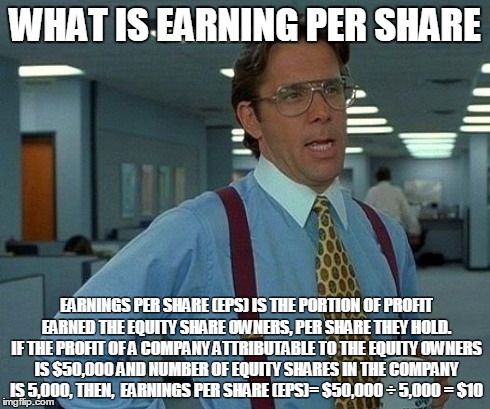 If a company were currently trading at a multiple (P/E) of 25, the interpretation is that an investor is willing to pay $25 for $1 of current earnings. A high P/E ratio means that investors are anticipating higher growth in the future. Losing companies do not have any P/E Ratio. Every business sectors have a standard or average P/E Ratio. Ratios of a company under consideration are compared to the leaders and other competitors belonging to the same sector, doing the same type of business. The comparison tells you the story, whether your company under consideration is leading or lagging. However, the real game of selection is more complicated. 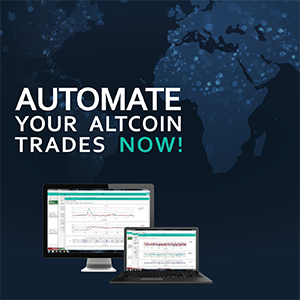 You have to pay attention to some other facts which are equally important, for example, the prospect of the business sector, future competitions, risks and volatility, directors and other experts in the company board, major investors in the company, the policy of the sovereign authority, and many others as per the situations. Further more, the activities, modes of financing and liquidities of the company are also to be judged with other ratios before you arrive for your final investment decision. 1 Comment on "How to Evaluate Stock Price of a Company In Just 5 Minutes"
The most important thing the finance industry doesn’t want you to know is whether the person you’re dealing with has a fiduciary obligation to you or not. With a couple of honorable exceptions, Finra’s members have disgraced themselves by opposing the interests of their own customers, to defend their dying wirehouse business model.